I hope you have enjoyed all the lovely cardis you have seen so far on the Catherine cardigan pattern tour! Remember, throughout the tour, you can receive a 15% discount on the pattern with the code CATHERINE15. You can find the pattern here. And you can now also purchase the pattern in Dutch. Today Daisy, Anke and Nelleke are sharing their lovely cardigans! Daisy is a new friend of mine and blogs and IGs at Molemieke. She lives in Belgium with her husband and two children. She loves to sew for her kids and occasionally for herself. She sewed two gorgeous Catherine cardigans for her daughter Femke. This lovely bright yellow one and also a pretty grey one, both of which you can see in the Dutch listing in the sewpony shop. Daisy is a member of the sewpony team and I am looking forward to seeing her contributions! Her sewing is fantastic! Head over to Molemieke to see more. Anke is my wonderful Dutch translator. She blogs at Amore and has sewn up most sewpony patterns. 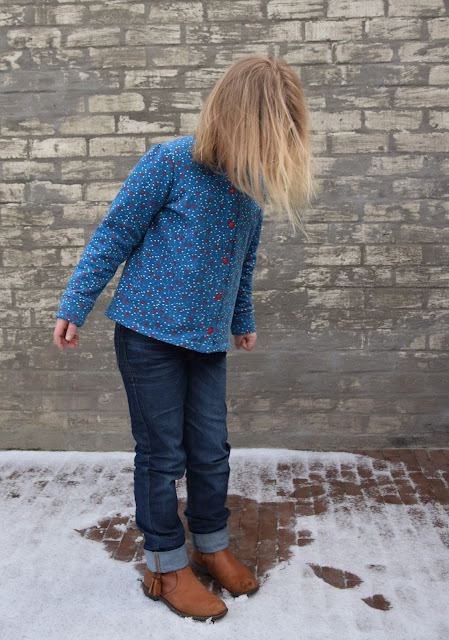 She also helped me with testing the Catherine cardigan pattern and sewed up this pretty blue one for her daughter. Anke is also a super star knitter! She has only been knitting for a couple of years and certainly puts me to shame! Anke is a member of the sewpony team and it is always a pleasure to work with Anke! Check out Amore for more! Nelleke blogs at Gaaf machine from the Netherlands. She also has a daughter Isabella who she loves to sew for!! 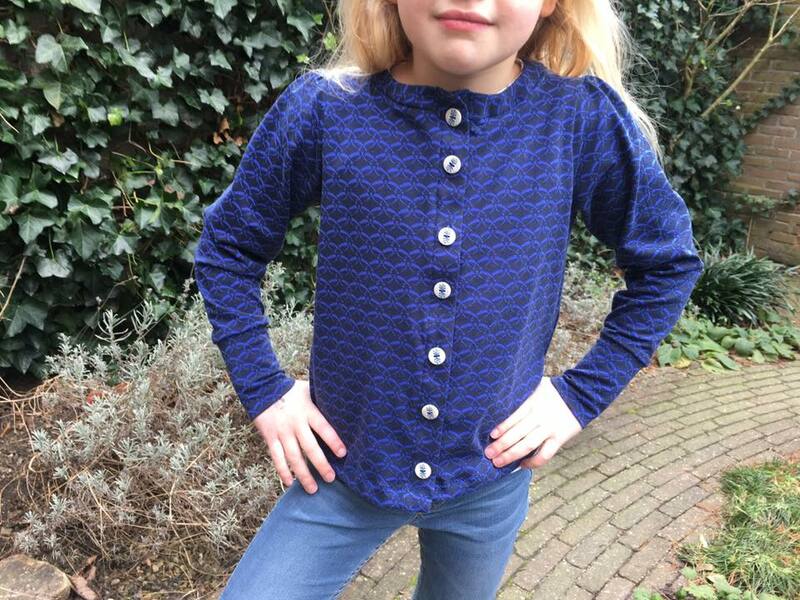 Nelleke has helped with testing a couple of my patterns and she made this gorgeous navy Catherine cardigan for her Isabella! Nelleke is a self confessed sewing addict and all round lovely lady. Check out Gaaf machine to see more! Thank you Daisy, Anke and Nelleke!